"We’re very proud of our reputation as builders of RELIABLE sound equipment. But it’s no accident that our gear is so reliable. Our design and engineering is focused around the reliability factor of every unit we build, hours of testing go into each amp that leaves our factory and only the finest components available are used in our equipment. Another reason why Peavey amps are so popular is because they perform. 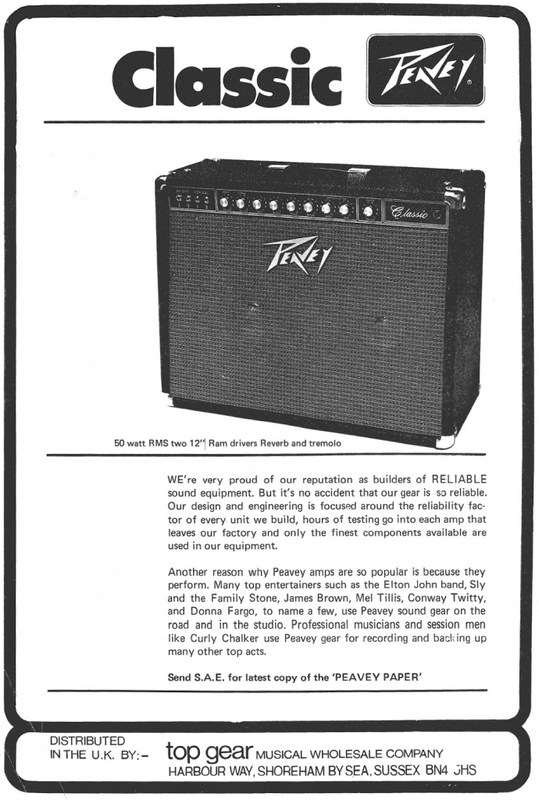 Many top entertainers such as the Elton John band, Sly and the Family Stone, James Brown, Mel Tillis, Conway Twitty, and Donna Fargo, to name a few, use Peavey sound gear on the road and in the studio. Professional musicians and session men like Curly Chalker use Peavey gear for recording and backing up many other top acts."